Concept of Open ,Short and Ground for a electric component on motherboard. The two poles of component separated from inside is open component. Two poles of component connected to each other from inside is short component. 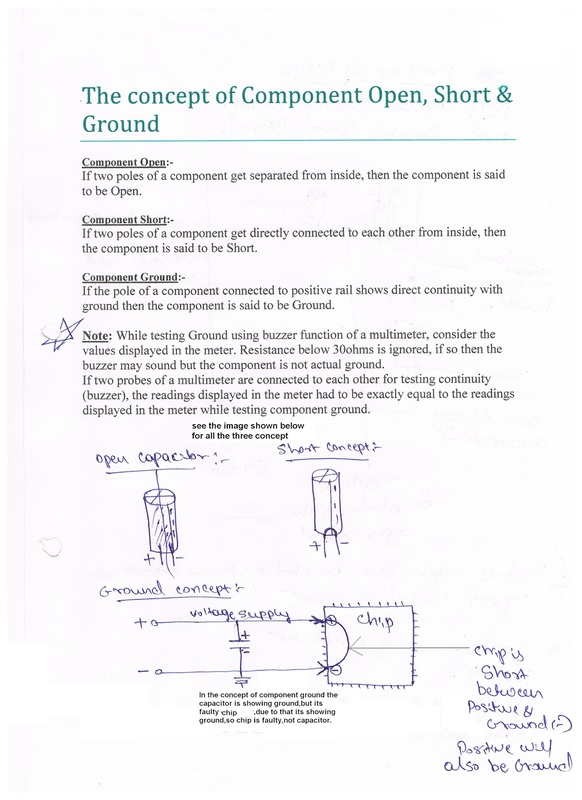 And in a component where positive rail shown continuity with ground then the component is said to be ground. When the component shows ground,that means the component is not faulty,but the chip or IC to which these component is connected,that chip is faulty and it has to be replaced. These will help you to know which component is open,short ,ground or its ok component but its controlling chip itself is faulty.